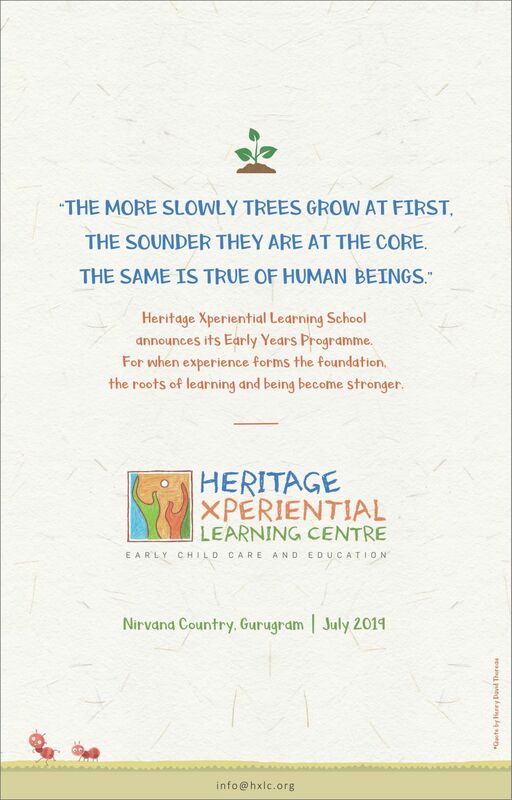 Announcing our first Early Years Programme at Heritage Xperiential Learning Centre. For more details click here. | Dear Parents, Thank you for your overwhelming response. Applications for Nursery are closed now. We will continue to take applications for all other grades. We educate our children as against schooling them, using a humane, real and learner-centric curriculum and pedagogy.